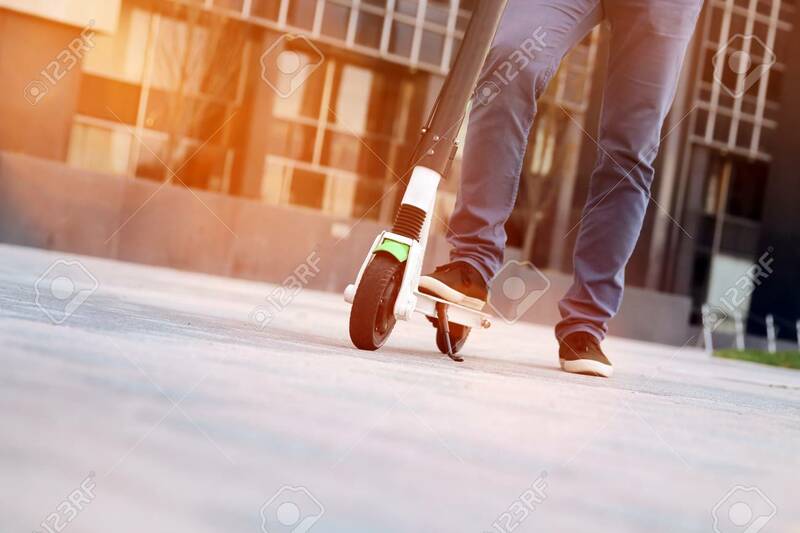 Close Up Image Of A Man On An Electric Scooter. Lizenzfreie Fotos, Bilder Und Stock Fotografie. Image 112592312. Standard-Bild - Close up image of a man on an electric scooter.